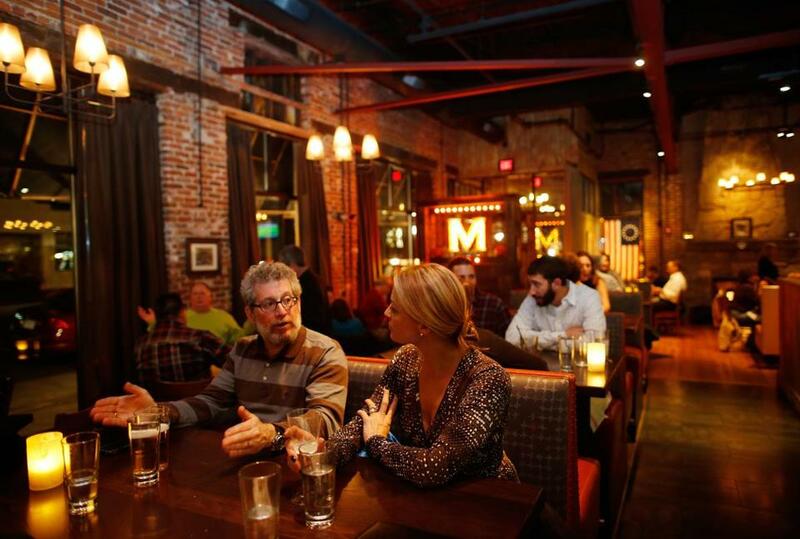 The Menotomy Grill & Tavern is one of the first restaurants to open in Arlington since the town started allowing alcohol with meals. In Wellesley and in Natick, town officials changed the rules so small restaurants can apply to serve wine, beer, and other alcohol. In Arlington, a former dry town, diners can order two drinks before they get food. Marlboroughstarted allowing downtown restaurants to expand their seating onto public sidewalks a few years ago. As communities try to keep downtowns vital in a still-lethargic economy, local officials are increasingly turning to restaurants as a way to bring money and people into commercial districts. The Mental Lentil Burger, a red lentil double cheeseburger with french fries. Arlington, which does not allow bars, recently voted to let restaurants serve up to two drinks to patrons with the understanding that they will be ordering food. 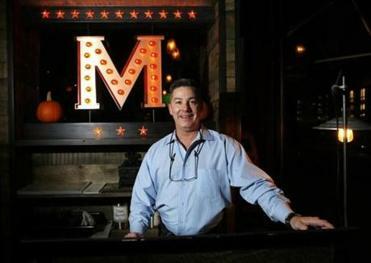 William Lyons is the managing partner of the new Menotomy Grill & Tavern , one of the first restaurants to open since Arlington passed the new regulation. His business, in a former video store on Massachusetts Avennue near the Cambridge border, is the only tavern in town. “All of a sudden in the last 10 years, the town started to be more open-minded about restaurants, especially restaurants with liquor licenses,” Lyons said. Massachusetts, in part because of its long history of blue laws, has kept a fairly tight rein on liquor licenses and forces municipalities to get Beacon Hill’s approval if they want to add licenses. 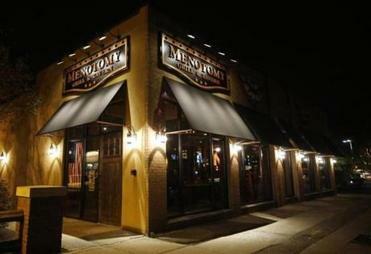 The Menotomy Grill & Tavern is a newcomer in East Arlington. A bill before the Legislature would give communities the power to grant additional licenses to restaurants or bars. Senator James B. Eldridge, a Democrat from Acton, decided to sponsor the bill after he heard frustration from local restaurateurs and selectmen about delays — from six months to a year — in getting new liquor licenses approved by the Legislature. “I think there’s a growing interest and recognition that the way the liquor system works in Massachusetts is extremely archaic, and we really need to update it to the 21st century,” Eldridge said. Alcohol can help restaurants survive, since liquor, beer, and wine tend to have a higher profit margin than food. William Lyons the managing partner of Menotomy Grill and Tavern. becoming more important to keeping downtowns alive, said Richard Layman, an urban revitalization consultant based in Washington, D.C.
“Personally I don’t see how it’s possible in the modern retail environment, where more and more is shifting to the Internet, that it’s possible to bring back commercial districts without a focus on eating and drinking,” said Layman, a partner at BicyclePASS, which promotes bike riding. Yet restaurants, including those serving alcohol, cannot stand by themselves, he said. In Layman’s view, a vibrant downtown contains both restaurants and cultural draws — museums, libraries, movie theaters, art galleries — as well as retail stores. A few years ago, Natick changed its regulations to allow restaurants with 50 seats — rather than 100, the previous minimum — to serve alcohol. Since then, two businesses that previously would not have been able to serve alcohol have opened in town: Bill’s Pizzeria and Palettes, a paint bar that serves food, beer, and wine to its amateur artists. Natick also dropped its parking requirements for both restaurants and retail stores. They must still provide parking spaces for employees, but not for customers. “When you have a historic downtown that was developed before automobiles were conceived of, property boundaries didn’t have enough additional land area with which to accommodate contemporary parking requirements,” Reffett said. Lyons has seen Arlington change from a town with one restaurant, Jimmy’s Steer House, to a town with dozens. “It was a dry town when I grew up here,” he said. Lyons has opened restaurants for other people — the Black Horse Tavern in Winchester and the House of Blues in Cambridge — and was ready to be a partner in his own. The Menotomy Grill, which opened four months ago, has 150 seats. 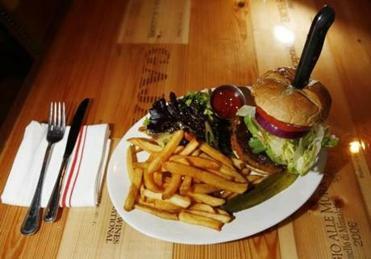 Restaurants raised $918 million in state meals tax money in the last fiscal year, plus local meals taxes in communities that have enacted them, said Stephen Clark, director of government affairs for the Massachusetts Restaurant Association. In Wellesley, selectmen voted to allow restaurants with 50 seats to serve alcohol after seeing nearby towns, including Needham, make similar changes. Needham is about the same size and has comparable socioeconomics, so Wellesley’s selectmen were heartened by its success with the new regulation, said Hans Larsen, the town’s executive director. “We don’t want to put our property owners at a competitive disadvantage as opposed to property owners in neighboring communities,” Larsen said. Fifteen of Wellesley’s restaurants have alcohol licenses — 13 for full alcohol service, two for wine and beer only — and two of them qualified under the new 50-seat rule: Takara Japanese Restaurant and Susu Bakery Boutique. A few years ago, Marlborough’s City Council voted to allow restaurants in some downtown areas to apply for sidewalk licenses to expand their seating areas outside in warm weather. Restaurants that wish to serve alcohol outside must also apply for a special liquor license. Globe correspondent Jessica Bartlett contributed to this story. Kathleen Burge can be reached at kathleen.burge@globe.com. Follow her on Twitter @KathleenBurge.